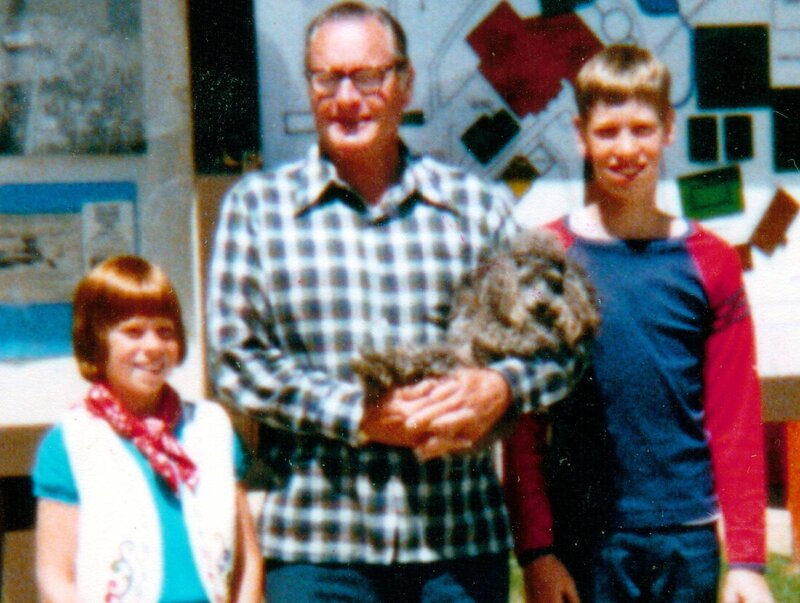 Grandparents | Brian Jane's Blog. I woke up late today; really late–a little before 11 AM. I guess I needed the sleep. Between moments of bad colds, and work, and euthanasia, I guess I was just worn out. I haven’t really been able to fall asleep recently until after 1AM. I drift with my grandfather inside his wooden rowboat. 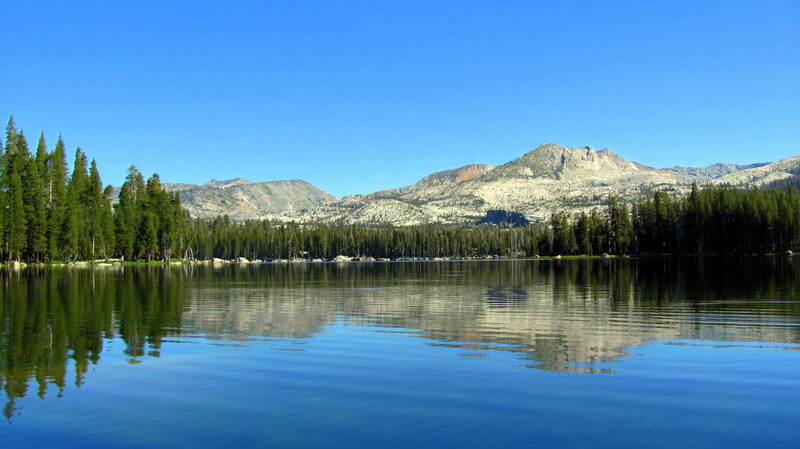 The Sierra-blue water of Wright’s Lake has no waves like the ocean; it’s calm and still. The lake sparkles in the sun, so bright you can’t look at it for long. I have to wear a husky life-jacket and Grandpa doesn’t. I can’t move and I’m getting hot and itchy. I feel like I’m wearing a dozen winter coats. He helps me cast my line. I ask Grandpa what we will catch. Trout? Bluegill? Maybe a shark? Someone told me they once caught a stupid waterbird who decided to dive after a hook. Nothing happens for a long time, or even longer. Forever. The cork sparkles and dances on the surface. Why doesn’t a rowboat have an anchor? Big boats have anchors–giant metal things you drop to the bottom. They are tied to a rope or a chain. We have a scratchy old rope in the boat. Would the rope float? Grandpa tells me to leave it alone and to stop putting it into the water. How would a rope with no anchor save us in the middle of a lake? Maybe we could lasso a tree. How deep was this lake? If I jump overboard and swam to the bottom, maybe I’d find underground caverns that took us all the way back to the valley. I would be famous. A very famous, very wet, explorer, like Jacques Cousteau. I wish I could throw something in. Something inside the wicker basket–it’s filled with lures and flies and worms–would be a good start. Grandpa gives me a look and I leave his tacklebox alone. This boat has oars. Grandpa and I only have two. If one oar fell into the lake, we’d paddle in a circle until the Coast Guard rescued us. There is a small spit of gravel that the grown-ups call “a beach.” It’s always so cold, I want to wrap inside my beach towel for protection and rush back to the cabin. But Wright’s Lake has no coast, so no guard. Anyhow, oars float. I wish Grandpa would let me throw one in. I wish I chould throw anything in. Something like my sister (who isn’t with us), or a pine cone (smarter than my sister, but also not with us). I bite off a corner of a fingernail and toss it into the cold water. No splash. You have to sit still as church and not rock the boat. How long will fishing last? Could we row to Aunt Fanny’s cabin from here? How come we can’t put a motor on the boat? Why doesn’t the cabin have electricity? Can so many mosquitos bite you, that they drink all your blood? Can we also keep a bowl under our bed at home, to pee at night? Why are there still mayflies if it’s July? Marmots eat our melon rinds. Why don’t we keep them for snacks? If this is Wright’s Lake, is there a Left’s Lake nearby? Why does Great Grandma wear a wig? Why doesn’t Great Granpa have any legs? Do you have a rock I can throw in? Please? Some boats have anchors. Why doesn’t this boat have an anchor? I wish this boat had an anchor. Grandpa says to be quiet or I’ll scare the fish. Fish don’t have ears. I think grown-ups just like it when kids are quiet and not wiggly, like my sister–she’s three, and she’s always loud and wiggly. We reel in our empty lines and he sits me on his lap. I try to row our way back to the dock. I’m not strong enough to pull the boat through the water and it makes me nervous to have everything go backwards. Grandpa takes over. The comforting tilt of the boat, and the rhythmic crunk of the oarlocks take us back to the cabin. I wish the boat had an anchor. An anchor would have made this boring time with my Grandpa something I’d remember forever. Monday night, around 8:30 PM, we arrived in Auburn. We chose Round Table pizza for dinner that night because it had been a few years since any of us had enjoyed it. The one nearest our location is Idaho. They don’t deliver to Washington DC. The whiners.